Your own uniquely Australian Bed & Breakfast accommodation located atop beautiful, serene Tamborine Mountain, nestled in the Gold Coast Hinterland just 1 hour from Brisbane and 30 minutes from the Gold Coast. Visit our comfortable and welcoming Bed & Breakfast, your home away from home on tranquil Tamborine Mountain – be captivated by the absolutely spectacular breathtaking views from your guest deck – eat well, sleep well – relax, unwind, slow down – escape for awhile to a uniquely different and more peaceful place in the world, away from the hustle and bustle of an ever more demanding pace of life – feel truly welcome with our warm and friendly hospitality – take a break, try us, you will be glad that you did. All of your four individual en-suited cabin style guest rooms are charmingly decorated and have reverse cycle air-conditioning, TV, DVD player, plus tea and coffee making facilities. Covered walkways, softened by lush tropical gardens & frog ponds connect all guest rooms to the main lodge. This ensures maximum peace and relaxation for guests! For your convenience you may check availability of rooms online and / or book your accommodation online using our secure server. You are served your hearty Breakfast on the large and spacious Deck, which boasts amazing Gold Coast views (you may catch a sensational sunrise or two) or in the Guest Dining Room in the cooler months. For some of Pam’s special recipe treats please visit our recipes page. Food is a serious business at Tamborine Mountain Bed & Breakfast, to be thoroughly enjoyed at all times. Be Spoilt for Choice! A Buffet style selection of Juices, Cereals and yummy Fruit Salad. As well as Yogurts, Breads from local bakery ‘Eagle Heights Bakery’ and Jams made here on the Mountain. In addition, be pleasantly surprised by Pam’s special ‘treat of the day’ and all of this followed by the bottomless cup of Tea or Coffee! – provided Monday thru Friday. Weekend Breakfast – A true Aussie Feast ! Includes the delicious Continental Selection, followed by the renowned, delightful hot specialties from Tony’s BBQ. We source our tasty and very delicious bacon and sausages from local specialist butcher ‘The Eagle Heights Butchery’. Laurie, the butcher, has his own Smokehouse to smoke his very popular hams and bacon, he also specialises in gourmet sausages. For Group bookings only (please enquire). 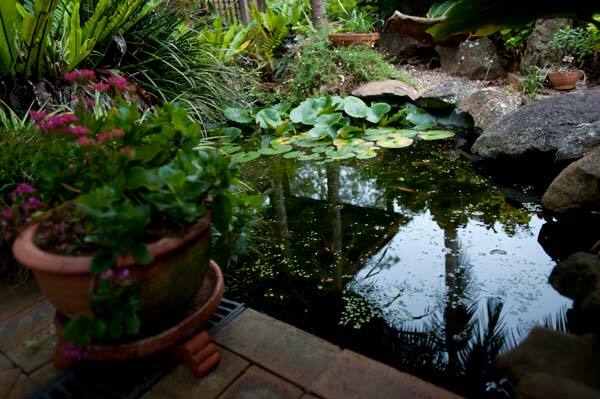 Ideally situated, your Tamborine Mountain Bed & Breakfast accommodation is only minutes from the villages of Eagle Heights and North Tamborine. 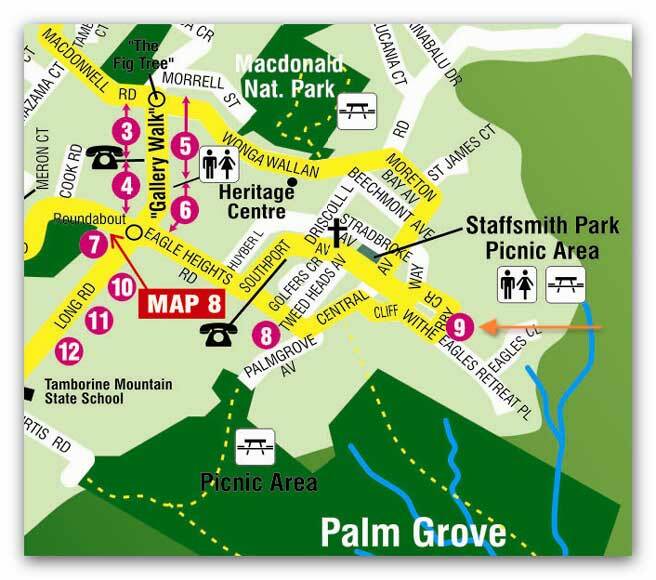 For detailed directions on how to get to your Tamborine Mountain B&B and to view more maps please visit our location page. Take an exciting stroll along the nearby Gallery Walk shopping precinct, the artistic centre of Mt Tamborine, which is lined with shops bursting with antiques, collectables, clothing, Cuckoo-clocks and locally made art & crafts. Don’t miss the Chocolate and Fudge Shops, the Brewery and the charming ‘The Old Church’ Restaurant (just a short amble up Long Road)! Tamborine Mountain boasts Award Winning Restaurants, casual Cafes and Takeaways which will satisfy healthy appetites and varying budgets. 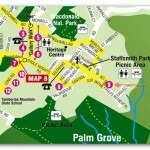 Visitors can easily spend a relaxing holiday exploring Mount Tamborine. Apart from the numerous galleries, craft shops, cafes, tea-rooms and restaurants, you can visit the local Wineries, multi-award winning Distillery, award-winning Brewery & Cheese Factory and the mountain’s own Coffee Plantation. Take a leisurely walk through the sub-tropical rainforest, Tamborine Mountain’s prize possession or above the rainforest canopy, along the new Rainforest Skywalk. Go on the antique trail. Watch the hang gliders soar or check out the bustling markets. There’s so much more to see and do in the clear mountain air of this tranquil environment. All this, as well as the most popular wedding venues, within an easy drive. 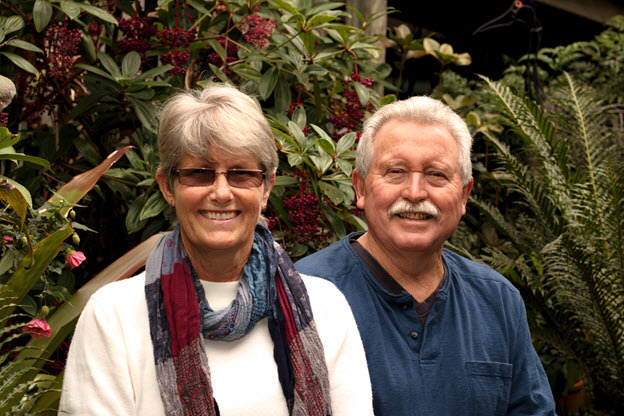 Ensuring a stay at Tamborine Mountain B&B is perfect for everyone. View a short video (3:38 minutes) to better see what Tamborine Mountain has to offer you during your stay. You will be warmly welcomed by your friendly hosts Tony & Pam Lambert. Please take a moment to read some of the many testimonials written in our Guest Books by happy Tamborine Mountain Bed & Breakfast guests that have stayed with us in the past. 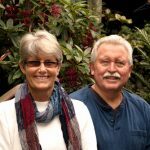 View our videos below (2:03 minutes and 1:35 minutes) which will give you a relaxed introduction to Tamborine Mountain B&B and what we offer you. Uniquely rustic, Australian themed Tamborine Mountain Bed and Breakfast has been built on the mountain’s eastern edge, and looks over ‘simply the best views‘. The main deck affords an unbelievable panorama of South Moreton Bay and the Gold Coast (night time viewing of Gold Coast City is highly recommended) . Extensive use of recycled timber (such as the old Wollomombi Bridge near Armidale), flooring and fittings has created this truly fascinating B&B. Walk the National Parks. Be enthralled by the wildlife in Palm Grove, just a short meander away from your B&B accommodation. This really is Paradise! A photographer’s, bush walker’s and bird watcher’s wonderland awaits, with a wide variety of flora and fauna in the lush gardens and rainforests of Mount Tamborine. Don’t forget your Walking Boots, Camera and Binoculars! 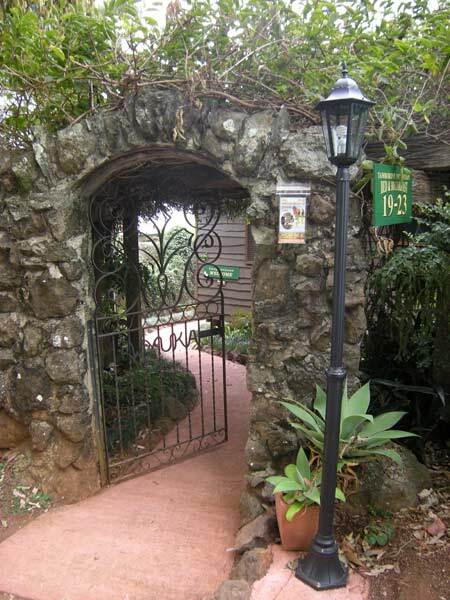 Come on up to Mt Tamborine and spend some quality time at Tamborine Mountain Bed and Breakfast. Laze on the deck. Gaze over the Hinterland, Gold Coast and Pacific Ocean while being entertained by the visiting bird life. Be amazed by the sensational Sunrises, watch the moon rise romantically over the Ocean or the twinkling fairyland of the Gold Coast lights by night. Retire to the large welcoming guest lounge. Play a CD, read a book or just laze by the huge stone fire place, creating the perfect atmosphere to escape and unwind. Tamborine Mountain, a world of difference. A more gentle and friendly part of the world. Escape to sub-tropical rainforest, nature’s paradise and your sanctuary. This really is a breath of fresh air, with a healthy dose of relaxation and regeneration mixed in to ensure that you enjoy every minute of your stay.